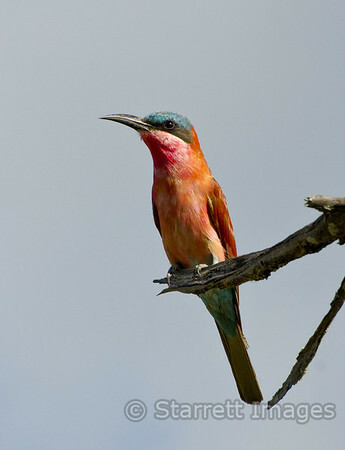 Our recent trip to Botswana gave us wonderful photo opportunities and was the experience of a lifetime. The wealth of animal and bird life.....well, there's just no place we've been that compares. Although entirely wild, many of the animals have become habituated to the sight of the safari vehicles and it is possible to approach them quite closely. The Meerkats in the Makgadikgadi Pans area are a special case. The local concession there, Jack's Camp, has gone to the trouble to position a human out on the desert every morning. The first thing a Meerkat sees when he pokes his head out of his hole in the morning is a human and they have now come to accept the sight of people without fear. One hopes that trust will never be abused.